SASKATCHEWAN TRIAL LAWYERS ASSOCIATION INC.
1. The name of the non-profit corporation is SASKATCHEWAN TRIAL LAWYERS ASSOCIATION INC.
2. The purpose of the non-profit corporation is to uphold and defend the tenets of democracy; to advance the science of jurisprudence; to train in all fields and phases of advocacy; to promote the administration of justice for the public good; to uphold the honour and dignity of the profession of law; and especially to advance the cause of those who are damaged in person or property and who must seek redress therefor; to promote the diligent and competent representation of those accused of crime and the protection of their legal rights in accordance with the principles of fundamental justice; to encourage brotherhood among the members of the bar; and to uphold and improve the adversary system and trial by jury. “registered address” of a member means his address as recorded in the register of members. 1:2 The definitions in the Non-Profit Corporation Acts on the date these Bylaws become effective apply to these Bylaws. 1:3 Words importing the singular include the plural and vice versa; and words importing a male person include a female person and a corporation. 2:1 In order to carry out the purposes of the non-profit corporation the directors may, on behalf of and in the name of the non-profit corporation, raise or secure the payment or repayment of money in the manner they decide, and, in particular but without limiting the foregoing, by the issue of debentures. 2:2 No debenture shall be issued without the sanction of a special resolution. 2:3 The members may by special resolution restrict the borrowing powers of the directors, but a restriction imposed expires at the next annual general meeting. 3:1 The Association shall be composed of members as defined in Articles 3.2 and 3.3 of these bylaws and as admitted by resolution by the Board of Governors. have paid the required dues within the allowed timelines. are entitled to be Regular Members of the Association with the right to vote at all meetings of members, stand for election or appointment as Governor or Officer of the Association and receive all other benefits of Regular membership as determined by the Board of Governors from time to time. have at least the same rights and privileges of a Regular Member and receive such additional benefits as the Board of Governors may direct from time to time. at all times, entirely or for the most part, represents the interests of the federal or provincial Crown in criminal matters. are entitled to be Associate Members of the Association with no voting rights and no right to stand for election or appointment as a Governor or Officer of the Association but otherwise having the same rights and privileges of a Regular Member as determined from time to time by the Board of Governors with the exception that Associate Members may be excluded from meetings of the Association. May be excluded from meetings of the Association, but otherwise enjoy the rights and privileges determined by the Board of Governors from time to time. is eligible to be a Student member. (b) Other Professional Member – Any professional not in the practice or study of law who is not engaged in activities contrary to the goals and objectives of the Association is eligible for Non-Lawyer Membership. is entitled to be a Law Professor member. has received a degree in law from an accredited law school or college and has been approved by the Law Society of Saskatchewan as an articled Student at Law Is entitled to be a Law Graduate/Articled Student Member of the Association. Is entitled to be a Law Graduate/Articled Student Member of the Association up to two years. is entitled to be a Judicial Member of the Association. Resignation – A member may resign by submitting a written resignation to the President. Such resignation shall become effective on the date submitted, provided the member has satisfied all of said member’s obligations to the Association. Disbarment – A member who is disbarred shall automatically be removed from membership in the Association and shall be entitled to reapply for membership in the event he/she is readmitted to the practice of law by appropriate governing body. Suspension from Practice – A member suspended from practice is automatically suspended from membership in the Association for as long as said period of suspension from practice continues and shall be returned to membership upon the termination of said suspension. Suspension from Studies – Any Student Member who is suspended from their studies at the University of Saskatchewan, College of Law the shall automatically be removed from membership of the Association. Suspension from Articles – Any Articling Student Member who is suspended from the articling student program of the Law Society of Saskatchewan shall automatically be removed from membership in the Association. Termination by the Board – The Board of Governors may terminate the membership of any member who no longer meets the membership criteria for his/her membership. Notice of intention to terminate membership and the reasons therefore shall be sent to the member 30 days prior to the meeting of the Board of Governors at which the notice is to be considered. The member may appear and be heard. Any motion to terminate membership must be approved by a two thirds majority of the Board members present and voting in order to be carried. 4:1 The Officers shall be the President, the President-Elect, the Past-President, the Vice President, the Secretary, the Treasurer, the Parliamentarian, and the Editor of The Saskatchewan Advocate which officers shall constitute the Executive Committee and all of whom must be residents of Saskatchewan. 4:2 Subject to Articles 4.3 and 4.4, The Executive Committee shall manage the affairs of the Association subject to the direction of the Board of Governors. (a) The Executive Committee shall not countermand actions taken by the Board of Governors and will be bound by specific instructions given to it by the Board of Governors. (b) Three (3) members of the Executive Committee shall constitute a quorum and actions shall be decided by a majority vote except as provided in Section 7 of this Article. The President may request a telephone or mail vote of the Executive Committee in which event action shall require the affirmative vote of three (3) members. (c) The Executive Committee shall keep minutes of its meetings and shall distribute them to the members of the Board of Governors. 4:4 Subject to the direction of the Board of Governors and except as specifically limited by these Bylaws, the Executive Committee shall have full power and authority in intervals between the business meetings of the Annual Conventions to do all acts and perform all functions which the Association itself duly convened at the business meeting of the Annual Convention may do or perform. However, whenever the membership of the Association shall have required or forbidden any act or policy at an Annual Convention, such action shall be binding upon the Board of Governors and the Executive Committee. 4:5 The President shall be the Chief Executive Officer of the Association. The President shall preside at all meetings of the Association, the Executive Committee and Board of Governors, shall direct the affairs of the Association with the advice and consent of the Executive Committee and the Board of Governors; and unless otherwise provided for in these Bylaws, shall appoint all committees. In the event of the President’s incapacity or inability to fulfill the office and upon certification of such fact by two-thirds (2/3) of the Board of Governors, the remainder of said term shall be filled in the following order of succession: President-Elect, Vice President, Secretary, Treasurer, and Parliamentarian. 4:6 The President-Elect and Vice President shall perform such duties as are delegated by the President and the President-Elect shall succeed to the office of the President in the event of death or resignation of the President. The President-Elect shall preside at meetings in the event of the temporary absence of the President, but shall preside only in the capacity of President-Elect until such time as there is another election pursuant to Article 4:9. The primary role of the Vice-President shall be the coordination of the Continuing Legal Education which the Association offers to its membership. 4:7 Each of Vice-President and Past-President shall perform such duties as are delegated by the President. The Vice-President shall preside at meetings in the event of the temporary absence of both the President and President-Elect; The Past-President shall preside at meetings in the event of the temporary absence of any of the above named. 4:8 The Secretary shall keep the minutes of all meetings of the Association, the Board of Governors, and the Executive Committee; shall direct the mailings of all notices required to be given; and shall keep an accurate census of the membership. 4:9 The Treasurer shall be the official custodian of the funds of the Association. The Treasurer shall collect all dues and monies of the Association; shall direct the keeping of accurate books of account; shall cause audits to be made periodically as ordered by the Board of Governors; shall submit financial reports to the Board of Governors at its regular meetings and to the membership at the Annual Convention; and shall receive, disburse and invest the funds of the Association in the manner directed by the Board of Governors. 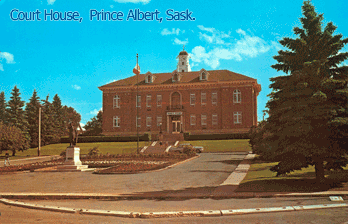 Candidates for Treasurer must reside in the Judicial Centre of Saskatoon or where the Executive Director resides. 4:10 The Parliamentarian shall advise the presiding Officer on questions of parliamentary procedure in accordance with ROBERT’S RULES OF ORDER. The Parliamentarian shall perform such other duties as directed by the President, and shall advise the President, the Board of Governors and the Association on questions pertaining to the Association’s Charter and Bylaws. 4:11 The terms of office of all Officers shall be one (1) year or such other term as the Board of Governors may determine from time to time, which shall begin at the end of the last business meeting at the Annual Convention, with nomination and election by the membership at large. 4:12 Any vacancy in the office of Governor shall be filled by the Executive Committee within thirty (30) days after such vacancy occurs and if not so filled, by an appointment of the President subject to the approval of a majority of the Board of Governors voting at a duly constituted meeting of the Board of Governors. The appointment shall serve until the next Annual Meeting, at which time the remainder of the vacant term shall be filled in the usual manner providing for the election of Governors. 4:13 Each member of the Executive shall carry out all duties and responsibilities in these Bylaws or as otherwise established by the Executive and the Board of Governors. Members shall be responsive to the request(s) of the President and other Officers in carrying out the functions of the Association. Failure to carry out duties and responsibilities as set out in these Bylaws or accordance of the policies adopted by the Association may result in removal from the Executive by two-thirds (2/3) vote of the Board of Governors. 5:1 The Board of Governors shall be the governing body of the Association and shall direct its policy and affairs. The Board shall serve as the Directors of the Association. 5:3 No commitment or expenditure of any funds of the Association shall be made by any Officer or member except as provided in the annual budget or as may be declared by the Executive Committee under the provisions of such limitations as the Board of Governors may from time to time determine. 5:4 In the event of a vacancy in the office of President-Elect, Vice President, Secretary, Treasurer, or Parliamentarian, between Annual Conventions of the Association, the Board of Governors shall fill such vacancy with any eligible members as provided in these Bylaws by a majority vote at a regular or special meeting of the Board of Governors. Such person so elected shall serve until the next Annual Convention. 5:5 Meetings of the Board of Governors shall be held upon the Order of the President, or upon written request of any five (5) members of the Board of Governors. In any event a meeting shall be held at the Annual Convention and at least one other meeting per year, which meeting may be by conference call. A quorum shall consist of five (5) members of the Board of Governors. 5:6 The Board of Governors have the right to appoint the Executive Director to carry out the functions of the Association. The compensation and duties of the Executive Director shall be fixed by the Board of Governors. The contract of employment of the Executive Director shall be entered into by the Board of Governors. 5:7 Each member of the Board of Governors shall carry out all duties and responsibilities in these Bylaws or as otherwise established by the Board of Governors. Members shall be responsive to the request(s) of the President and other Officers in carrying out the functions of the Association. Failure to carry out duties and responsibilities as set out in these Bylaws or accordance of the policies adopted by the Association may result in removal from the Board of Governors by two-thirds (2/3) vote of the membership at a general meeting. 6:1 The definition of each district shall be in accordance with those judicial centres from time to time designated by the Government of Saskatchewan, and which, subject to such amendment, shall include: Prince Albert, Saskatoon, Yorkton/Melville, Swift Current, Melfort, Moose Jaw, Regina, Weyburn/Estevan and Lloydminster/North Battleford. 6:2 Each District Governor elected to the Board of Governors, shall be elected for a term of two (2) years or such other term as the Board of Governors may determine from time to time, and the District Governors elected in Regina and Saskatoon shall have staggered terms; provided that the President with the approval of the Executive Committee shall appoint and set the term of the first district governors in Regina and Saskatoon. 6:3 The District Governor shall be the liaison between the Board of Governors and the district bar or official affiliate which is represented and it shall be the responsibility of the District Governor to assist the Board of Governors in attaining the objectives of the Association by carrying out specific programs assigned to them by the Board of Governors or the President. 6:4 Any vacancy in the office of District Governor shall be filled by action of any official branch or affiliate within thirty (30) days after such vacancy occurs, and if not so filled, by an appointment of the President subject to the approval of a majority of the Board of Governors voting at a duly constituted meeting of the Board of Governors. The appointment shall serve until the next Annual Meeting at which time the remainder of the vacant term shall be filled in the usual manner provided for the election of district governor. carry out such directions and functions as are delegated to the Executive Director from time to time by the President, the Executive Committee or the Board of Governors. 8:1 The President shall appoint an Election Committee to conduct the elections. The committee shall promulgate fair rules of conducting the elections. All contested elections shall be by secret ballot. When only one candidate for an office has been nominated, such candidate shall be declared the winner by the Election Committee Chairperson without the necessity of voting. No officer shall be elected unless such Officer is an eligible member as provided in these Bylaws. All Officers shall be nominated and elected from the floor of a business meeting of the Annual Convention. The time of the nominations and elections shall be set forth in the Convention notice sent to each member. Officers shall be elected by a majority of the eligible members as provided in these Bylaws, who are present and voting. In the event a candidate does not receive a majority, a runoff election should be held between the two candidates receiving the greatest number of votes. The Convention by a two-thirds (2/3) vote may provide for the election by plurality prior to the holding of the elections. No member shall be eligible to be elected President of the Association unless such member has served as a member of the Board of Governors or an Officer for at least one (1) term. 8:3 Members of the Board of Governors should be nominated and elected at the Annual Convention by a majority of the eligible members as provided in these Bylaws, who are present and voting at caucus meetings called for that purpose. No member of the Board of Governors or District Governor should be elected unless said member or District Governor is an eligible member as provided in these Bylaws. 8:4 Except as provided, membership in a “district” and the right to vote and to be elected to “district” offices of the Association shall be determined by the location of the principal office of the member. 9:1 There shall be an annual convention with at least one (1) business meeting of the Association to be held at a time and place fixed by the Board of Governors. Written notice of the business meeting at the Annual Convention shall be sent to the membership and may be sent by regular mail, facsimile or electronic mail (e-mail) to any such address, facsimile number or e-mail address that the member has provided the Association at least 30 days prior to the business meeting. 9:2 There shall be such interim business meetings, as shall be called by the President with the advice and consent of the Board of Governors. 9:3 Ten (10) members shall constitute a quorum at any business meeting of the Association. 9:4 The business meetings at the Annual Convention shall be the final authority of the Association on all matters not specifically delegated to the Board of Governors or the Officers of the Association. 9:5 Unless otherwise provided in these Bylaws, all actions taken at a business meeting shall be by majority vote. ROBERT’S RULES OF ORDER shall govern all meetings. 10:1 The Budget Committee shall fix the annual membership dues which for the upcoming year shall be submitted to the Board of Governors for approval or amendment by majority vote prior to the end of the current fiscal year. 10:2 Dues shall be payable within thirty (30) days of the fiscal year. If the dues of any member be unpaid for a period of sixty (60) days after the same shall have become payable, the Treasurer shall cause to be sent to the member notice of delinquency and such membership shall automatically terminate on the date by reason of such non-payment, but the Board of Governors may provide for subsequent re-instatement. 10:3 All STLA issued cheques require two signatures, one of which must the Treasurer and Executive Director and the other from a board member appointed by the Board of Governors for this purpose and all of whom reside in the same Judicial Centre. 11:1 The Executive Committee may, except as provided in this Article, from time to time, establish, abolish and amalgamate such standing and special committees as it deems necessary. 11:2 The Board of Governors shall, from time to time, determine the jurisdiction of such standing and special committees. 11:3 Each standing or special committee shall have a Chairperson and at least two (2) other members. 11:4 The Chairperson of each standing committee shall be appointed for a one (1) year term. The President shall appoint the members and Chairperson of each standing and special committee. 11:5 The President shall be an ex-officio members of every committee. 11:6 In the event of a vacancy on any committee, the President shall fill such vacancy with any eligible member as provided in these bylaws. The person so appointed shall serve until the expiration of the administrative year. The Chairperson shall be the Treasurer or in his or her absence the President. The Committee shall prepare a proposed budget based upon the recommendations of the Executive Director and any association committees and shall submit such proposed budget to the meeting of the Board of Governors occurring at least thirty (30) days before the Annual Convention. The Board of Governors shall, by majority vote, approve or amend such budget. The Finance Committee shall, immediately preceding each regular meeting of the Board of Governors, receive a report of the Executive Director, the Treasurer, concerning the fiscal affairs of the Association and through its Chairperson, to report to the Board of Governors any expected or anticipated potential deviation from the approved budget of the Association and shall make recommendations to the Board of Governors for modification of the budget, which modification of the budget may be provided, however, no modification of the budget may be approved by the Board of Governors increasing total budgeted expenditures of the Association without compliance with the provisions of Article 5:4 and Article 5:7. The Finance Committee shall, from time to time, review the operations of the staff of the Association to determine that proper allocation of income and expenses is being made by the staff in accordance with the budget adopted by the Association and shall immediately report to the Board of Governors, the Officers and the Executive Director should any improper allocation of income or expenses be discovered. 11:8 There shall be such other non-standing committees as the President in the President’s discretion shall establish or as the Board of Governors may direct the President to so establish. The President shall appoint any member of the Association to such committee for one (1) year terms. 11:9 For purposes of this Article, an “administrative year” shall be deemed to commence immediately after the annual election of Officers of the Association. 11:10 A member appointed for a one (1) year term shall serve until the expiration of the administrative year in which such member was appointed. A member appointed to a two (2) year term shall serve for the balance of the administrative year of said appointment and all of the next administrative year. 12:1 The Board of Governors, with the approval of the membership at the Annual Convention, shall establish such Litigation Groups as it may deem necessary to deal with specific areas of the law or practice or to form liaison with sections of the Canadian Bar Association or the American Association for Justice or otherwise for the furtherance of the objectives of the Association. 12:2 Each Litigation Group may have Bylaws not inconsistent with these Bylaws. All Litigation Groups Bylaws shall be approved by the Board of Governors, and may be amended by the Board of Governors. 12:3 Each Litigation Group shall elect a Chairperson, and any such other officers as its Bylaws require. The elected officers shall constitute the Executive Council of the Litigation Group and shall be empowered to act for the section between Annual Conventions. In the event of a vacancy of the Chairperson between Annual Conventions, the Board of Governors shall fill such vacancy with an eligible member to serve out the remainder of the term until the next Annual Convention. 12:4 Each Litigation Group shall prepare a budget setting forth its proposed operations for the fiscal year of the Litigation Group and shall submit it to the Home Office and Budget Committee. 12:5 No Litigation Group shall express the official view of the Association without receiving prior approval from the Executive Committee. 12:6 Each Litigation Group shall hold a meeting at the Annual Convention for the purpose of electing officers and transacting such other business as may come before it. 12:7 The Board of Governors may adopt rules and procedures regulating Litigation Groups, including the authorizing of special meetings of Litigation Group. Until the Board of Governors so adopts rules and procedures, special meetings of Litigation Group may be called upon authorization of the Executive Committee. 13:1 Any “district” or local trial lawyers association may become an official of the Association upon approval by the Board of Governors, provided that its purposes are consistent with the purposes of the Association. The Board of Governors shall be entitled to review the programs, activities and policies of each official affiliate and may, after appropriate notice to the affiliate, rescind the official affiliate status. 13:2 Any “district” or local trial lawyers association may become an official branch or affiliate of the Association upon approval by the Board of Governors. The Board of Governors shall be entitled to review the programs, activities and policies of each official branch or affiliate and may after appropriate notice of the branch, rescind or change the official status of the branch or affiliate. 13:3 Membership in the Association shall carry with it automatic membership in the official branch where the member’s principal office is located. 13:4 The Association shall remit upon collection the amount of the annual dues of that official branch for each member of the Association to that official branch wherein the member’s principal office is located. 13:5 The construction and/or Bylaws of each official branch shall be consistent with these Bylaws and shall be subject to approval by the Board of Governors. Each official branch shall require that each of its members also be a member of the Association. 13:6 The Board of Governors of the Association shall designate one (1) official branch or official affiliate in each “district” which shall be empowered to nominate persons to the office of District Governor. 14.1 The Directors shall ensure that all necessary books and records of the Association required by these bylaws or any applicable statute or law are regularly and properly kept. 14.2 The fiscal year of the Association shall be the 31st day of January of each year. 15:1 These Bylaws may be amended at a business meeting at the Annual Convention by a seventy-five (75%) percent vote by a special resolution of the eligible members as provided in these Bylaws, who are present and voting. 15:2 An amendment must be proposed to the President or the Secretary in writing not less than sixty (60) days prior to the Annual Convention. Not less than thirty (30) days prior to the Annual Convention, all proposed amendments shall be sent to the membership and may be sent by regular mail, facsimile or electronic mail (e-mail) to any such address, facsimile number or e-mail address that the member has provided the Association. 16.1 Upon dissolution of the Corporation and after payment of all debts and liabilities, its remaining property and assets shall be distributed to an organization with objects similar to those of the Corporation, preferably one which carries on its work in Saskatchewan.